Whether you need to replace a component of your disabled toilet alarm system or you're looking to create a custom disabled toilet alarm perfect for you're requirements you're in the right place. 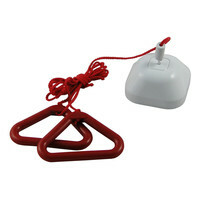 Our disabled toilet alarm components include everything you'll need to maintain a disabled toilet alarm system, from replacement pull cords and disabled WC stickers to toilet alarm control panels. 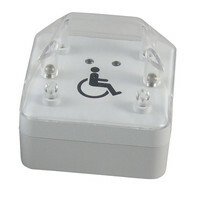 Disabled toilet alarms are used to call for help if a disabled person encounters an emergency or is in distress while using the toilet facilities. 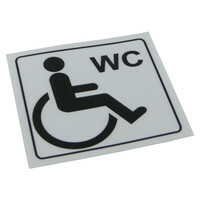 The average disabled toilet alarm will include a ceiling-mounted pull cord, a sounder to indicate there is an emergency and reset button. 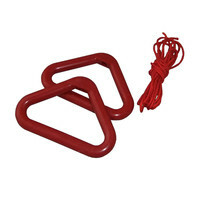 Pull cords are coloured red so they can be easily seen and have two bangles positioned at different heights so that disabled persons can reach and use the pull cord from both sitting and lying positions. 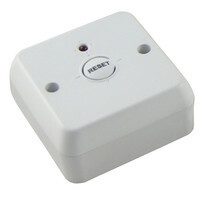 Additional disabled toilet alarm components are not only needed when one component breaks or becomes unusable with age – they can also be used to expand your disabled toilet alarm system. 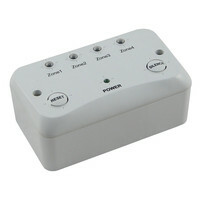 The Zeta disabled toilet alarm system for example comes with a 4-zone capable control panel whether you are purchasing a 1, 2, 3 or 4 zone disabled toilet alarm kit. If your needs change and you wish to expand this alarm system all you'll need to do is purchase additional ceiling pull cords, reset buttons and remote indicators. The Discount Fire Supplies team is on hand to help you make the right disabled toilet alarm components decision, just call 01792 452 700 to speak to someone today.